Antipolo is a place I was never afraid of visiting. I've been here several times, being a neighboring city of where I grew up. It's a city full of promise and potential, especially in the food business. 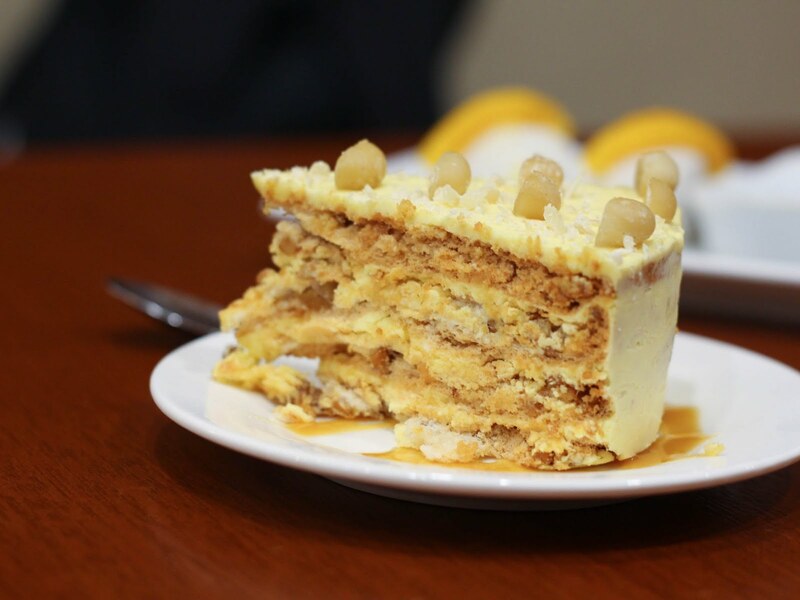 I first learned about Marison's when I was trying to look for a restaurant to try in Antipolo. It's a restaurant with a new name, one that many might not be aware of, but seems very promising because of the positive feedbacks I've been reading about it all over the internet. To be honest, impressing me with Filipino food is quite difficult. I grew up in a house mom who is a great home cook. 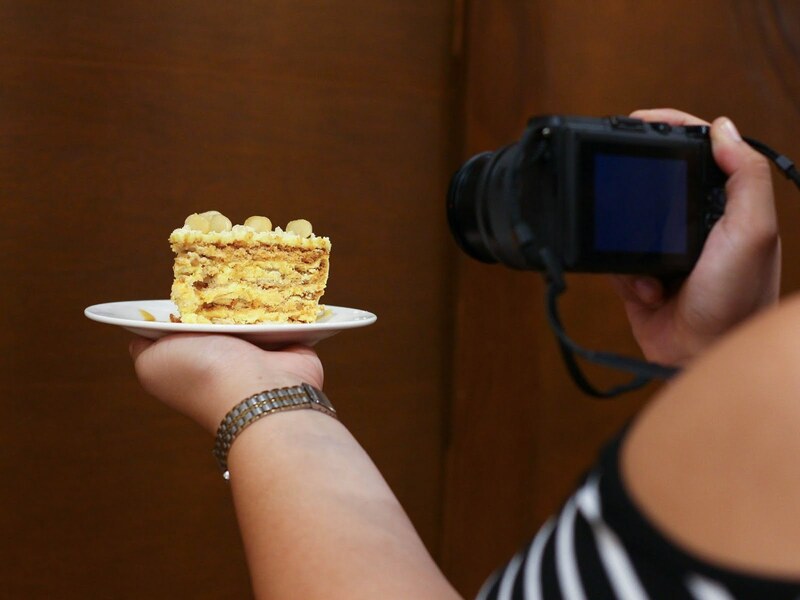 She might not have skills better than a chef, but for me to be really happy with something that I ate from outside my home, then it has to be greater than what my mom can cook. 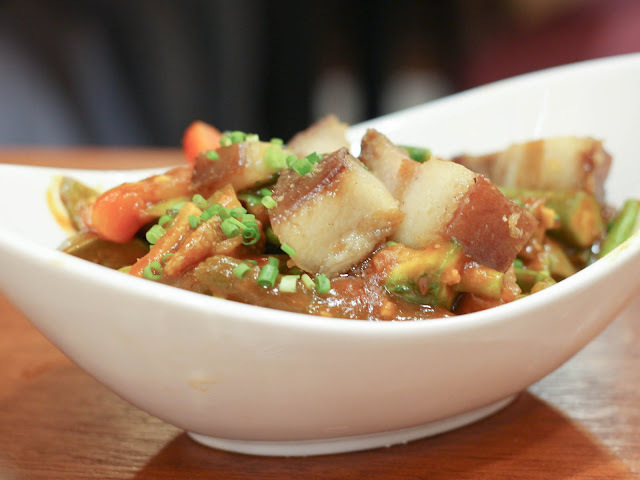 Thankfully, this Filipino restaurant was worth the trip. Marison's is a home grown restaurant serving classic Filipino dishes with a touch of creativity and heritage. 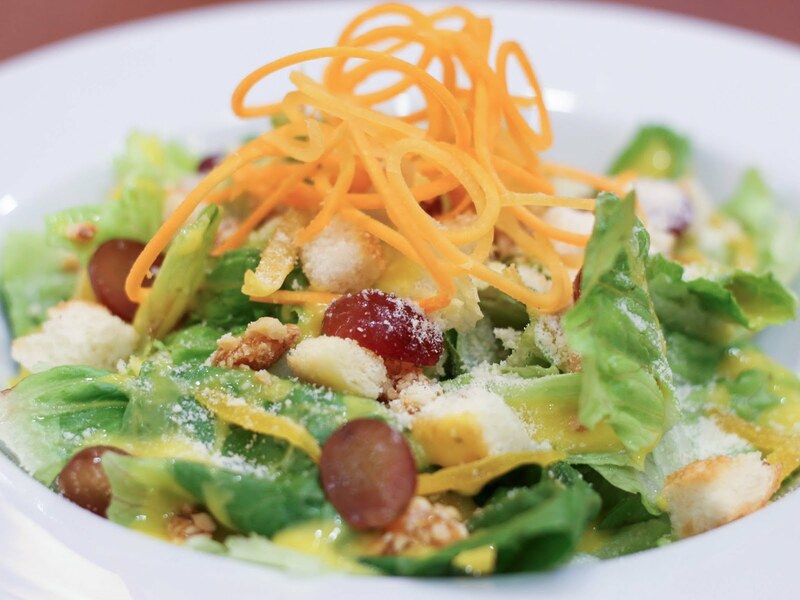 What started as a business venture for a retired tax lawyer bloomed into a restaurant with a rich and inspiring story that is reflected in the way they serve customers, especially with the food. 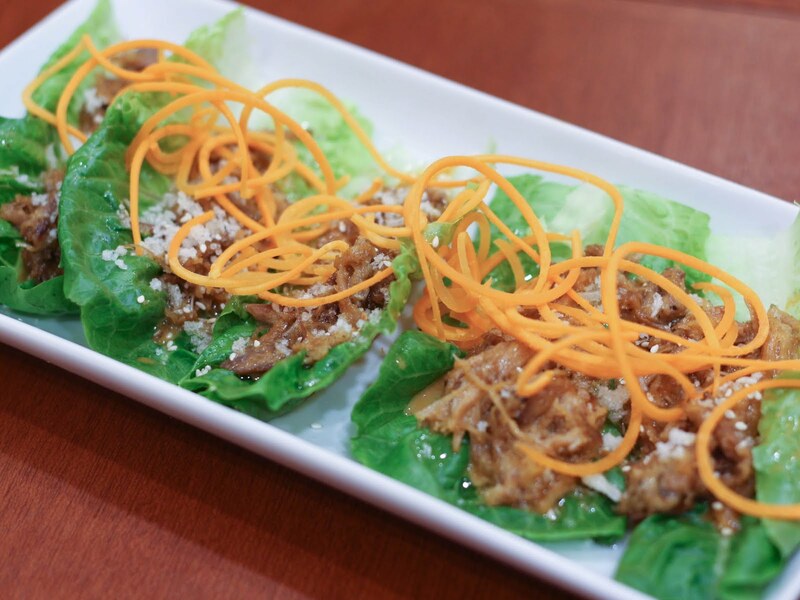 Shredded pork lechon topped with crispy bihon wrapped in romaine lettuce with spicy honey sauce. The play in the sweet, salty and spicy flavors in every bite was divine. 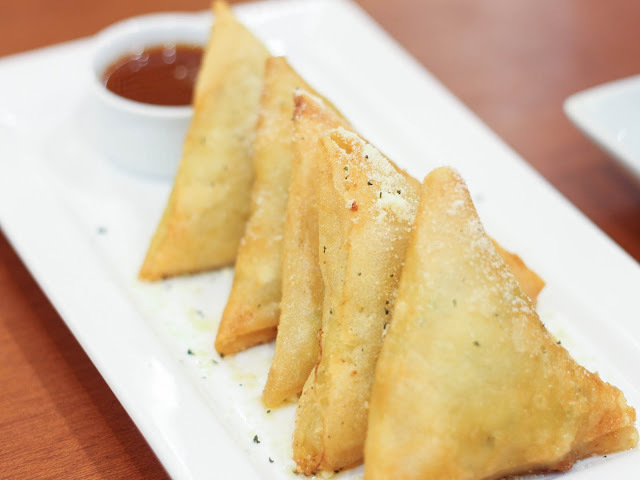 Fried lumpiang kesong puti served with spicy pineapple sambal dip. 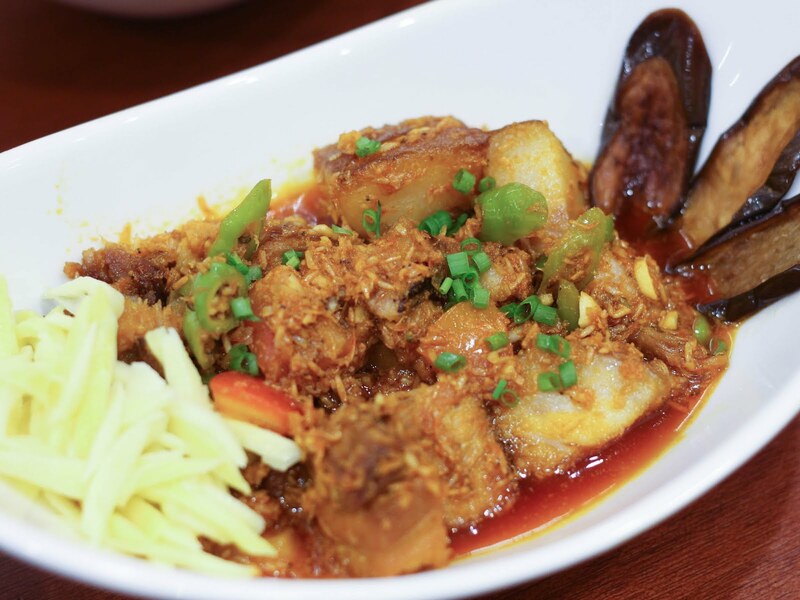 Tender beef in peanut and cashew-based sauce topped with crispy tripe and served with homemade bagoong. This is my favorite dish for the night. 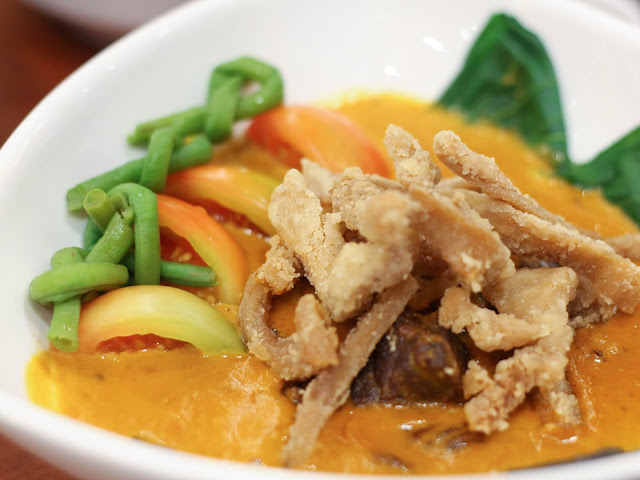 I love kare-kare, but what made this a hit for me is that all the ingredients must come together to create the best taste. At first bite, this dish tasted sweet. But in order for you to appreciate it, you MUST have it with the homemade bagoong. It's non-negotiable. If you do, then I'm sure you'd love it. Lechon kawali in toasted alamang served with eggplant and fresh green mangoes. This was another top seller among the members of our table. Deep fried, crispy tilapia in special sauce. 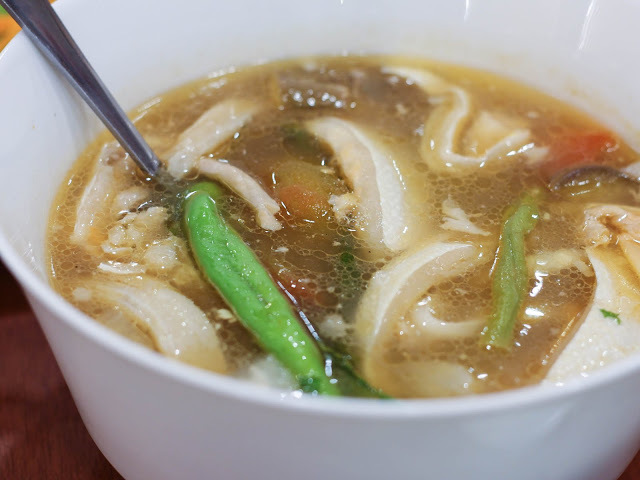 Salmon belly in miso based sinigang soup. Though their sinigang wasn't as unique as the other dishes, it still was delicious to me because it has the elements that I want in a sinigang: salmon, and sour (more than the usual. 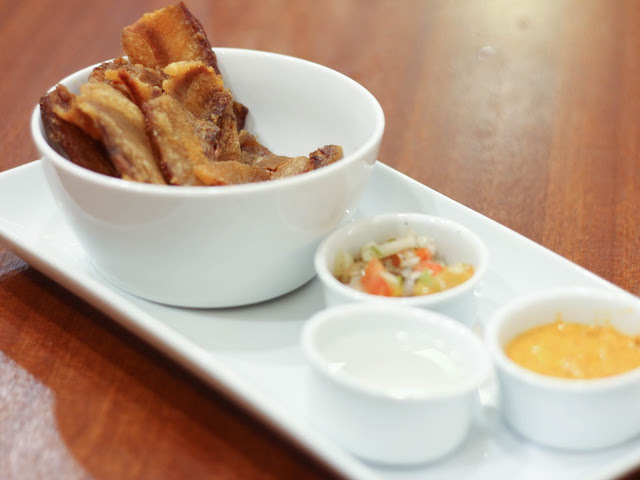 Thinly sliced bagnet chips paired with either the aligue or tomato salsa dip, and vinegar. 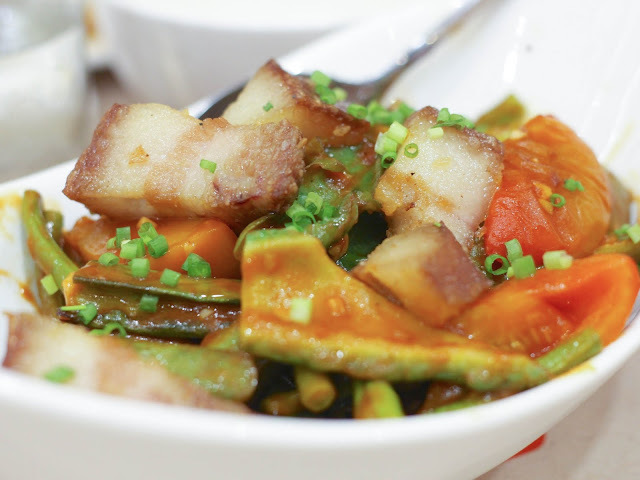 I have to admit, I consider the pairing of the aligue with the bagnet chips to be a significant breakthrough (lol). It's highly addicting, although I am not very fond of the aligue so I still liked the vinegar better. But still, this is mind blowing. 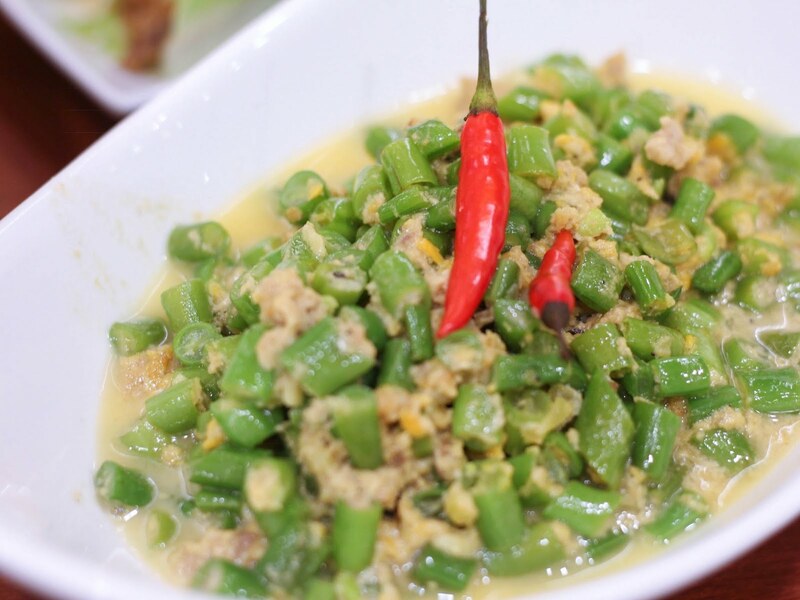 Tinapa and green beans cooked in coconut milk. How often do you eat vegetables that you enjoy? Me, I'm usually hesitant to order the veggies in restaurants because I always feel sad after (sorry, haha), but I was happy with Marison's Gising-Gising. Green beans in just the right amount of coconut milk (para hindi nakakaumay). 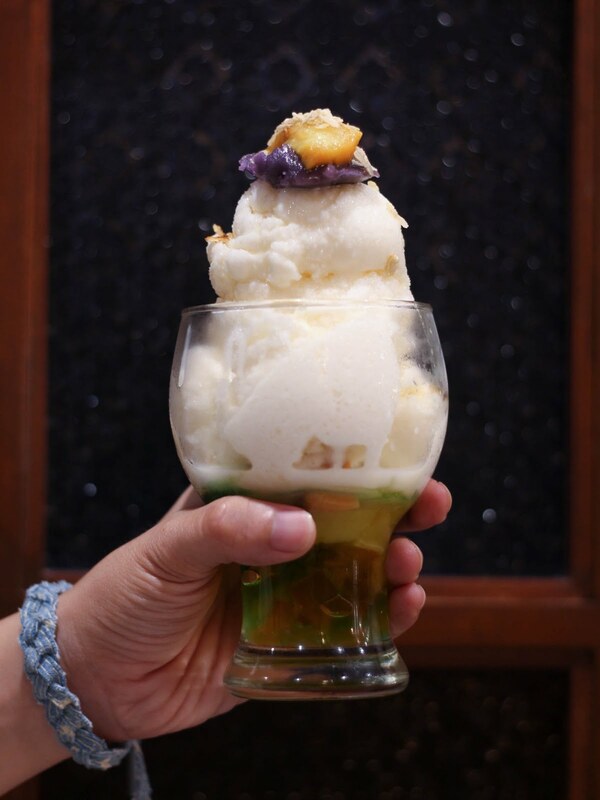 A delightful combination of sweet halo halo with Marison's signature smooth and milky ice. Sweet corn kernels with Marison's signature ice. If you're looking for something to remind you of what it is to be a Filipino, then this is it. 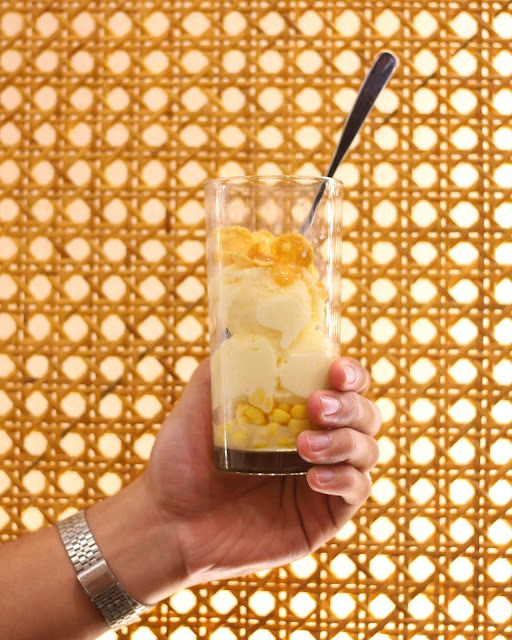 Its taste reminded me of the sweet corn chips and snacks we were all addicted to when we were little (until now!). 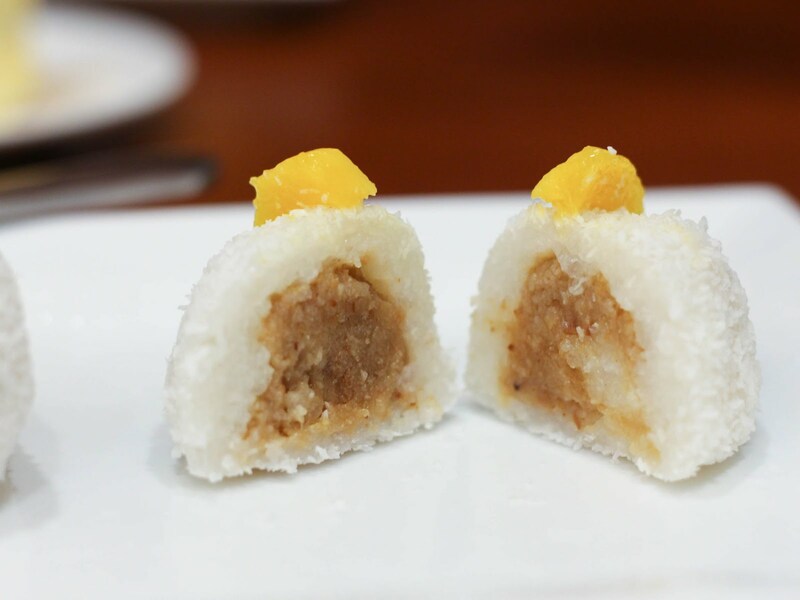 This is really, really, REALLY a MUST TRY. 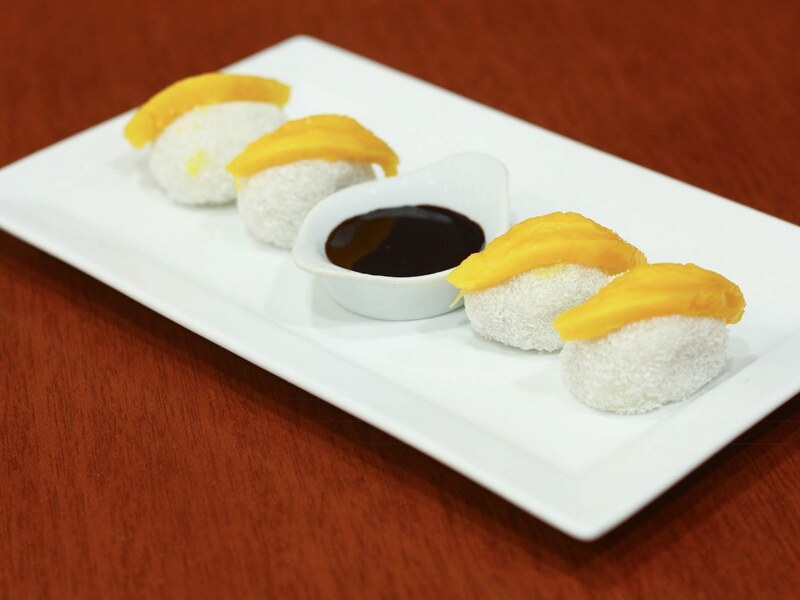 Suman with candied cashews, covered with coconut and topped with ripe mangoes. Yum! 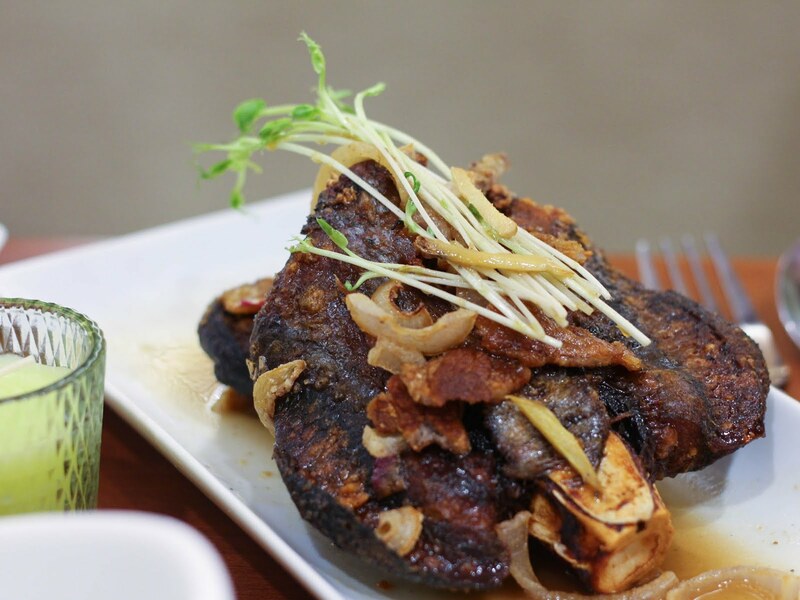 Marison's is a great example of a Filipino restaurant that has the potential to become a huge rival of the existing Filipino restaurant franchises. 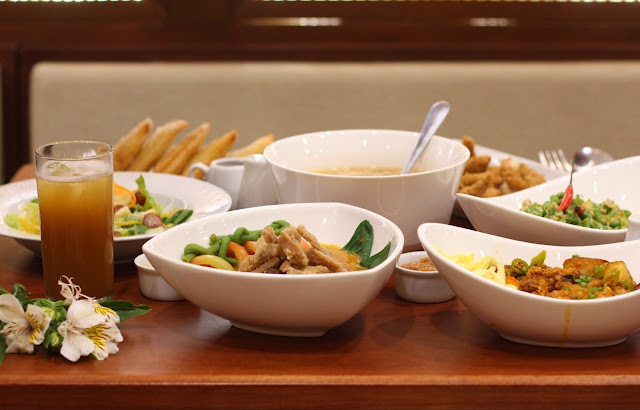 It's a restaurant that deserves the to be in the spotlight, and I'd definitely travel all the way to Antipolo just to eat here again whenever I'm craving for Filipino food.